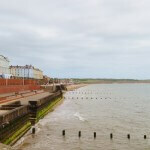 In a superb location we are situated just outside the centre of Bridlington, near to the railway station and only a few minutes walk to the shops, harbour, SPA Theatre Complex and award winning beaches. We can accommodate singles, couples or family’s for holidays or business long or short stay. Rooms are on the 1st and 2nd floor with stair access. All our rooms are en-suite with either bath or shower, electric shaver point, colour TV, tea/coffee making facilities, hair dryers, security safe. We have 2 bedroomed family rooms one of which is on the ground floor, we also have a twin ground floor room with a walk in shower for those finding it difficult to climb stairs. Wheel chair access straight from the street to the ground floor rooms. 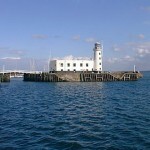 We are open all year round except for Christmas for weekly bookings and short breaks. 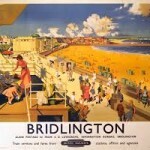 Bridlington can deliver beautiful sandy beaches and a clean sparkling sea, lots of entertainment for all the family and great nights out. 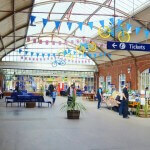 Perhaps you like a place with character and charm, or somewhere with lots more to explore when you need a change from the beach. 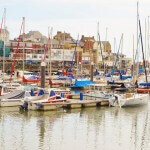 Bridlington is proud of its two award-winning beaches of golden sands stretch out on either side of a historic harbour bustling with activity. Beautifully designed promenades provide everything from fun-fairs to quiet places where you can sit and watch the world go by. 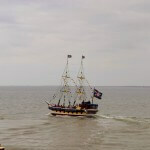 Shops, attractions, restaurants and the historic Old Town of Bridlington offer a fascinating contrast to life on the beach. 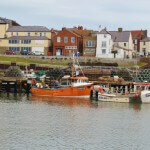 Further afield are the picturesque villages and scenery of the Yorkshire Wolds, the neighbouring resorts of Hornsea and Withernsea, and the spectacular Heritage Coastline.